Starbucks District Manager Eric Gonzalez confirmed to 78209 Magazine the company closed its Quarry Village location at 320 E Basse Rd (near the Trader Joe’s) effective September 30. The Starbucks at 255 Basse Rd. in the Alamo Quarry Market will remain open. The move disappointed some residents in the Artesa Apartments that sit above the Starbucks and other retail stores in the center. One person, who asked to remain anonymous, said, “I am sad to see them close. It was so convenient for me to grab a cup of coffee on my way to work. I know there’s a Starbucks across Basse in the Quarry, but it’s not easy to get there from where I live, with so much traffic in the morning.” She speculated the Quarry Village store was closing because of the competition from the other Starbucks. A proposal to change the zoning on two-plus acres at 328 E. Sunset Dr. and 319/321 E. Terra Alta and to build up to 28 single-family homes is under attack from neighboring residents. Local developer John Downes, Askeaton Realty LLC, recently purchased the properties. He met with a zoning commission member, District 10 Councilman Clayton Perry’s staff expert, on zoning issues, and Oak Park Northwood Neighborhood Association board members to discuss his plans for the site. Sal Flores, principal of Bendicion Engineering, the firm retained by Downes, wrote in a letter to neighboring residents that Downes’ plans include changing the zoning on the E. Terra Alta side of the property to IDZ (Infill Development Zone). Downes wants the zoning change so he can construct a road through the property, from E. Sunset to E. Terra Alta, and build 28-single family homes on the site. The proposed 3-story homes would sell for $650,000 and more. The tract is currently zoned R5 and NP-10. That designation would limit construction to a small number of single family homes. “Downes may be willing to change the plans to accommodate neighborhood concerns,” Flores said. An insider at the zoning commission (who asked to remain anonymous because they weren’t cleared to talk to media), said he believes, “Staff will not support the zoning request because it would drastically change the character of the neighborhood.” Without major changes to Downes’ development plans, the Oak Park Northwood Neighborhood Association Board is not expected to approve of the project. Turner Street Productions, a guitar studio and teaching complex, closed at 8126 Broadway St. more than a year ago. Now, however, the building has come to life as home for a new ballet studio – Pautz Pescasio Ballet. Sarah Pautz and her husband, Jayson Pescasio, recently leased the 6,733-square-foot space. They have opened a ballet studio for students who are serious about ballet. Pautz and Pescasio were principal dancers with Ballet San Antonio. That’s where they met and established a friendship. They married on March 16, 2017, on St. Simons Island, Georgia. “Our studio is brand new,” Pautz said. “Pautz Pescasio Ballet is a training program for serious dancers age seven to 18. We take dancers who already know they love ballet and want to improve in the art of ballet. 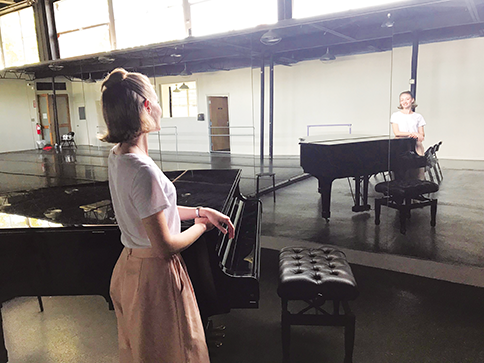 We want this to be our students ‘happy place.’ I was the original principal female dancer for Ballet San Antonio for seven years. I also danced in Europe for multiple companies.” She is retired now from dance and loves to teach, as does her husband. Pautz said she was looking for a space that was almost ready to go. The former Turner Street space turned out to be perfect for the new school. 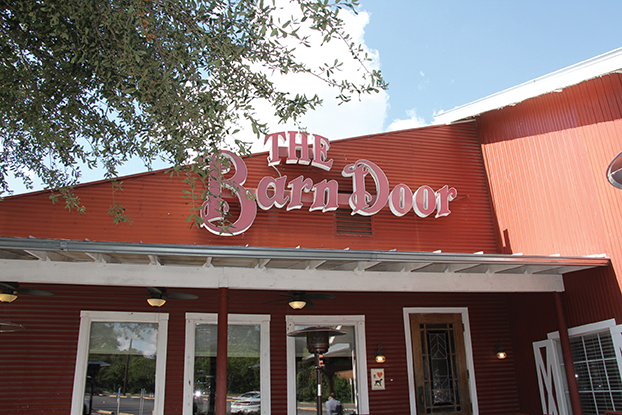 Randy Stokes, restaurant entrepreneur and owner of The Barn Door Restaurant, has long dreamed of opening a speakeasy – a hidden door, prohibition-era watering hole. Now, he is about to make that happen. Stokes is carving out a 500-square-foot space in his restaurant for a hidden speakeasy. It will seat 32 people. Patrons will enter through a secret door on the west side of the building. Stokes said the speakeasy will be beautifully decorated, featuring booths seating up to six people plus a scattering of small tables. There will be no food served in the speakeasy. Bartenders/servers will ask each patron 12 open-ended questions to help figure out what they like to drink. Then the server will craft the drink for each customer. 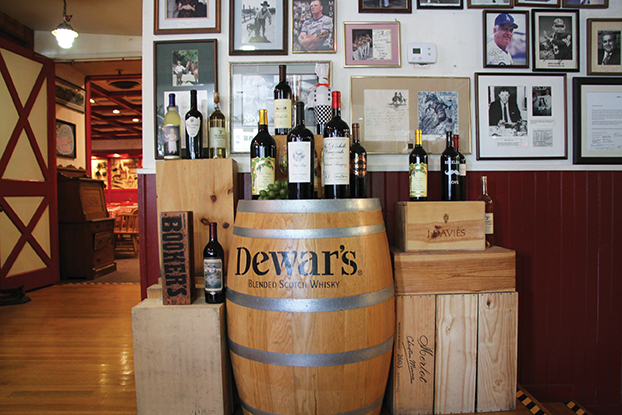 All of the shaken drinks will be made behind the bar. The stirred drinks will be hand-crafted tableside. Stokes has penciled in the opening for late December or early January 2019. Initial speakeasy hours will be 6pm to midnight on Thursday, Friday and Saturday. The bar will feature glasses and stemware from the 1920s and ‘30s. Stokes visited speakeasies in New York, Nashville, and elsewhere to get ideas for his establishment. 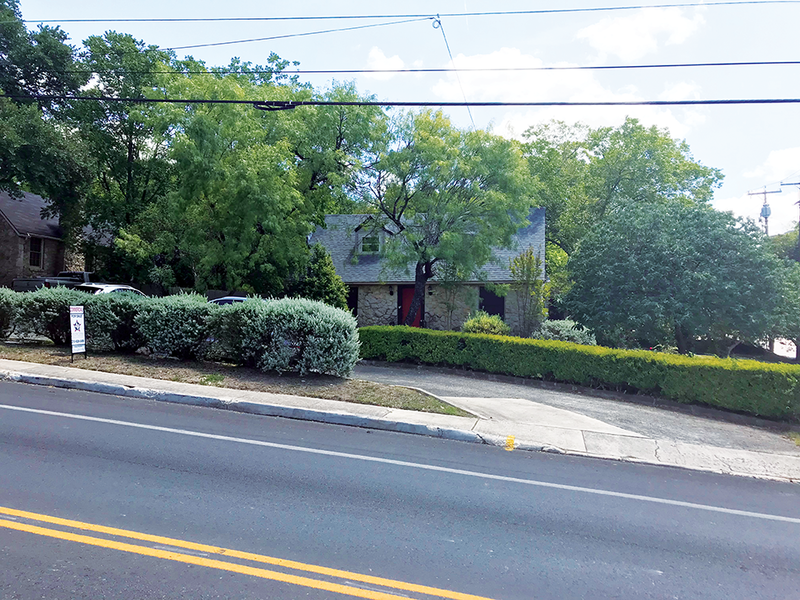 Although it sits back from both Broadway and E. Sunset, many folks have seen and admire the old, small, stone house that was recently purchased by Dentist Bart T. Wilson, Mission Orthodontics. If he wins his request for a zoning change, the stone structure will be demolished to make way for a two-story, 3,200-square-foot office building. The home currently has an E. Sunset address (106 E. Sunset.) However, Wilson hopes to add a driveway into the parking lot off Broadway. If that’s done, he can request an address on Broadway. The Oak Park Northwood Neighborhood Association Board voted to approve and support Wilson’s request for a zoning change. The property sits across the street from the old Patricia’s Day Spa, which was recently demolished. No word yet on what may be coming to that site.